Deflated Dimensions: 50" x 30" x 27"
Surf's Up! 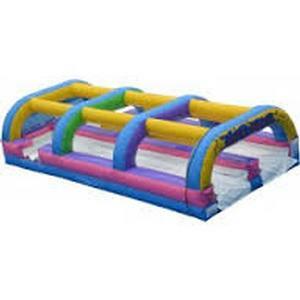 Cool down on a hot day with this popular slip and slide and have a blast sliding down across an amazing slipery runway! Our Slip-N-Slides comes in a vinyl bag. Adult supervision is always recommended on any of our games and inflatable’s. We recommend 2 adults to load, unload and take down the slip-n-slide. This unit will fit on pick up trucks. Will not load in any cars/car trunk.